I decided to come out with a no nonsense guide to help you get clear comes from my own experiences in life. Getting laid off a few times will help you figure out really quick as well what needs to be clear in your life. Growing up in a large family is hard at times to be heard over the multiple cousins, aunts, uncles & other family members; however, I learned to be that person who could be blunt & brutally honest. I knew how to tell someone exactly what they didn’t want to hear but needed to early in life. A skill that has carried through to this day. Being a single parent with 2 kids, I’ve had multiple transitions to deal with & had to start letting go of things that were no good. Getting clear in my own life. Making it all make sense. Did not let others stand in the way or tell me no. 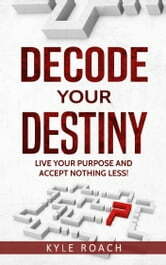 I want people to realize that being clear about their purpose or destiny is – YOU are responsible for it. No one else. If you aren’t willing to put the pieces together & work at it, you will be in a place of life that will keep you from ever achieving your dreams, reaching for & taking exactly what God has destined for you. My main goal/mission is to encourage & empower others seeking to gain clarity & focus in their life from the negative issues that surround them daily. By talking through the issues in a positive & no nonsense manner. They should walk away with a plan of action to help them learn it is ok to be happy, positive & in a space of moving forward. Learning how to let negative people, places & things familiar to them go. Tell me what are you ready to let go of? What direction are you going in? 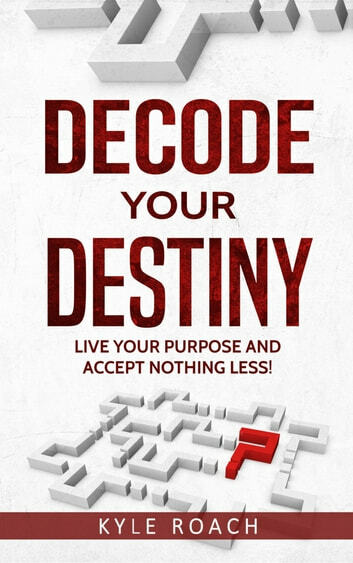 Livros relacionados com Decode Your Destiny: Live Your Purpose and Accept Nothing Less!